I am one of those people that when I travel, I like to do and see as much as we can fit in. It drives my husband absolutely bonkers, but I am never sure if we will be able to visit the same place again and missing out on seeing as much as possible, really makes me sad. 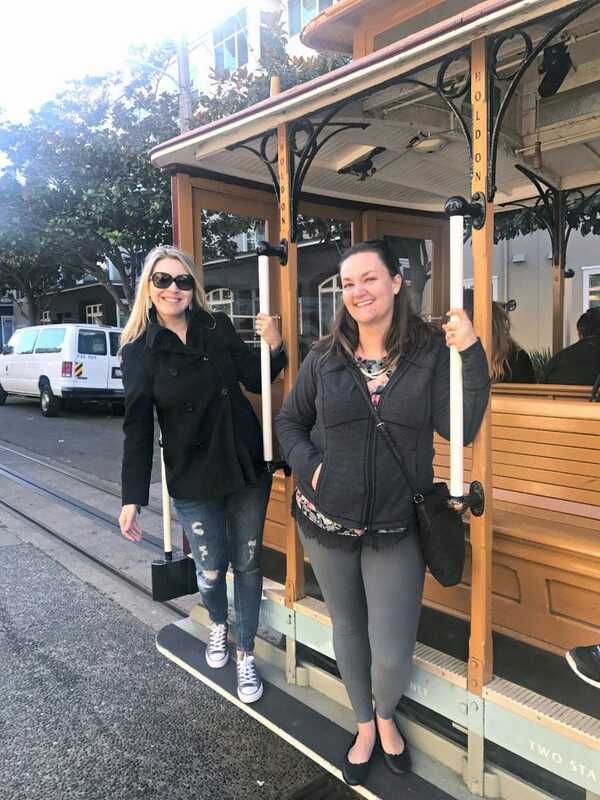 So when my blog girlfriends decided they wanted to do some sightseeing in San Francisco, I was 100% ready to check out the city. 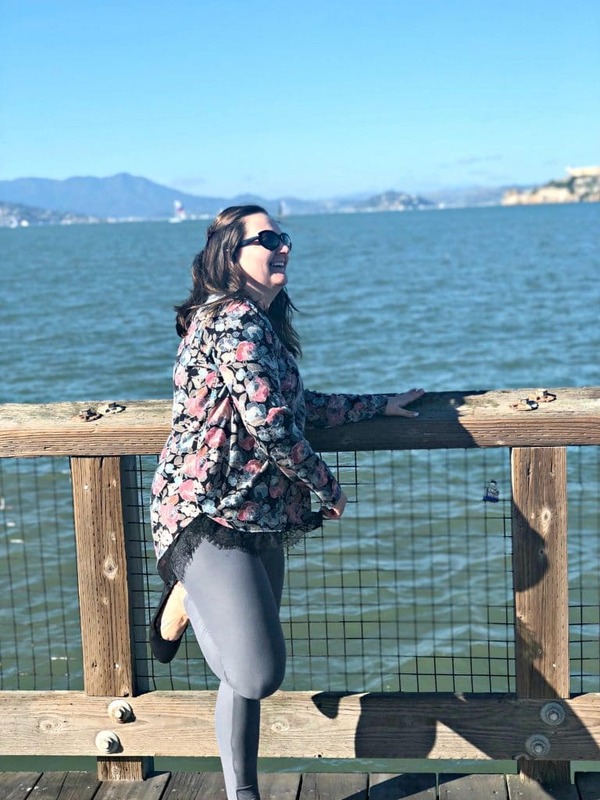 We did the same thing in New York City, and so I thought I would share a little bit of our San Francisco Travel tips for visiting the city too! 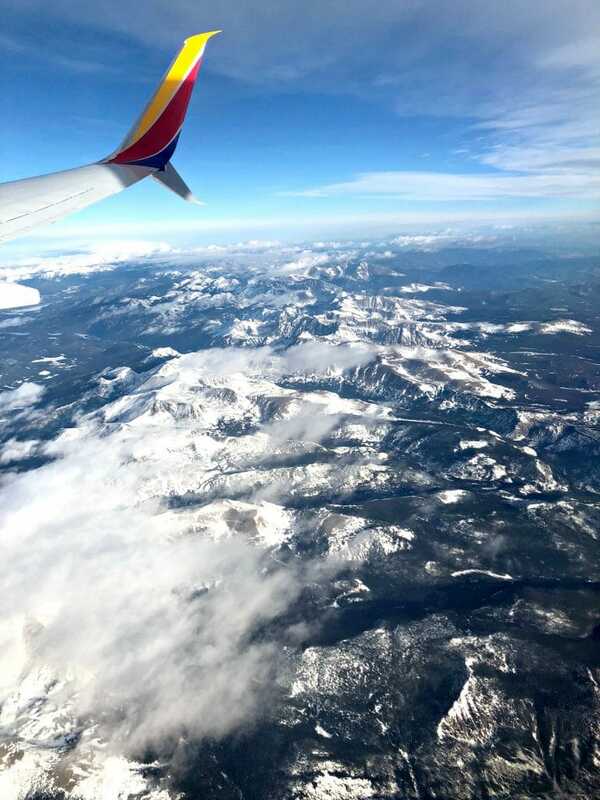 We flew out of Denver in some beautiful weather and although I dislike flying, seeing those Rocky Mountains as we crossed over them is always so beautiful. As an aside, I dislike flying so much that I actually sent my husband my will, all the details to access our bills and reminded him to tell our kids every single day how much I love them. It is a hard thing to love traveling, but dislike the modes to get there. Either way, we made it safely, with only a small amount of turbulence (yes I know turbulence will not crash a plane) and little jet lag. After dropping our bags at the hotel, we headed into the city. 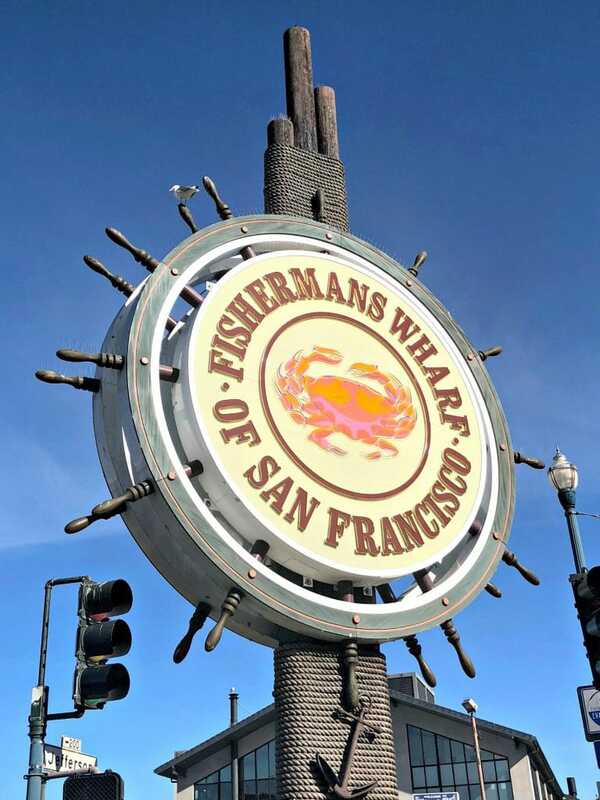 We started at Fisherman’s Wharf and worked our way down the pier. We were hungry so we walked up and down the pier before we found a place that was right on the water and that offered some tasty menu items. The hostess sat us on the water and our view of the docks were really cool. I completely forgot to write down the name of the place that we ate, so if you have seen this view from a restaurant that has an early happy hour, drop the name in the comments please. Either way, I had a delicious salad and enjoyed the peace with my friends for sure. 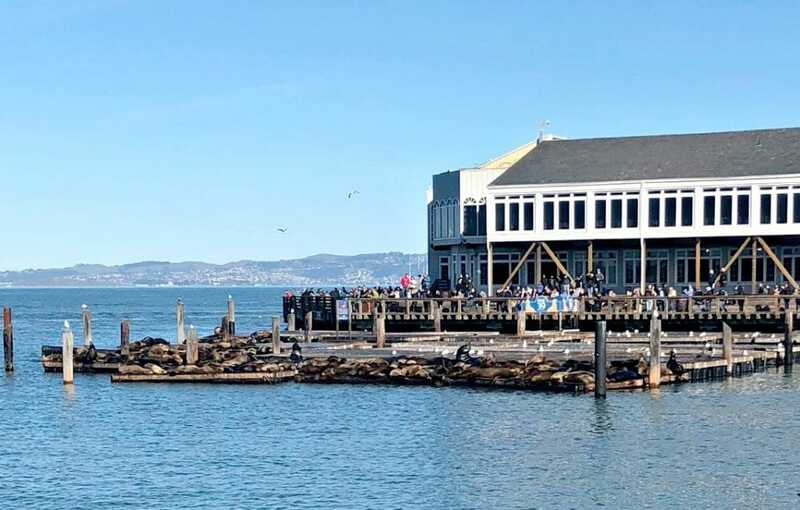 Once we finished lunch, we headed down to Pier 39. I had been to this area when I was a young teen, but I remember very little about it. I forgot how big the ships are and how windy San Francisco is. I forgot just how pretty it is too and how much I just love being near the ocean. I mean check out this view. 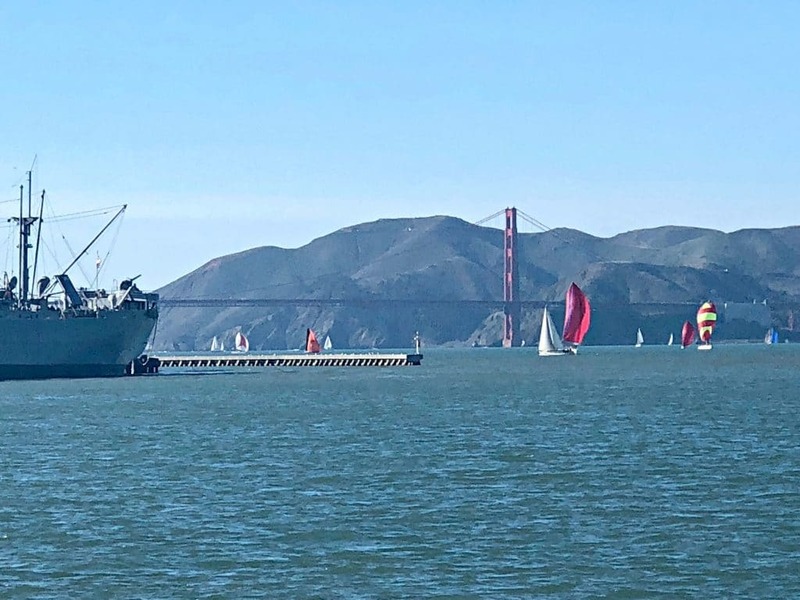 The ship, the sailboats, the Golden Gate Bridge. You really cannot go wrong with this, oh and did I mention that its free? 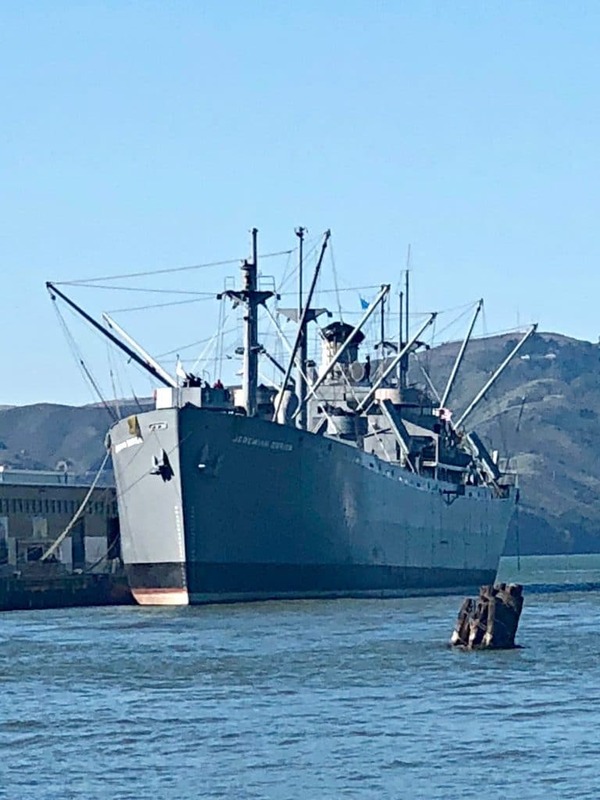 You can just walk on the pier enjoy the sights, take some photos and really glimpse the day to day of San Francisco right there for NOTHING out of pocket. 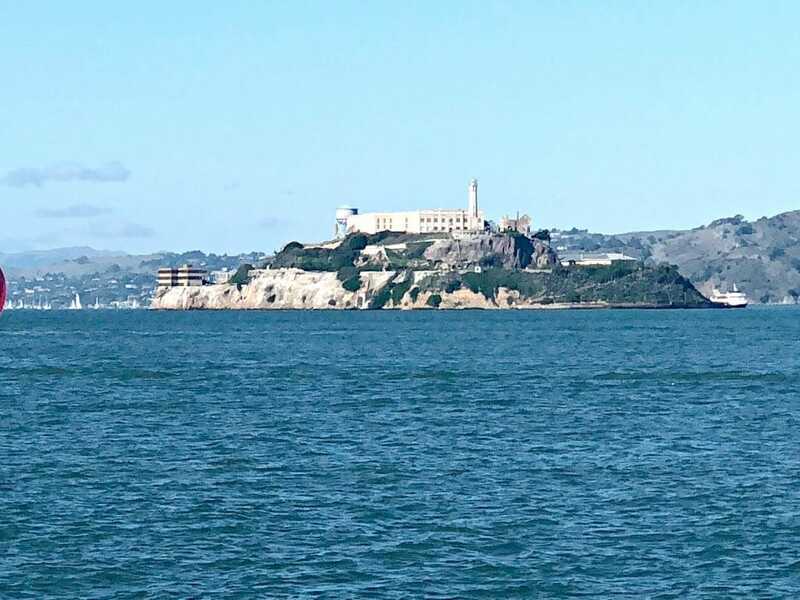 One thing we had discussed was maybe taking a tour of Alcatraz. A little story about Alcatraz. I love the move “The Rock” with Nicholas Cage and Sean Connery and I have always wanted to see the island up close. 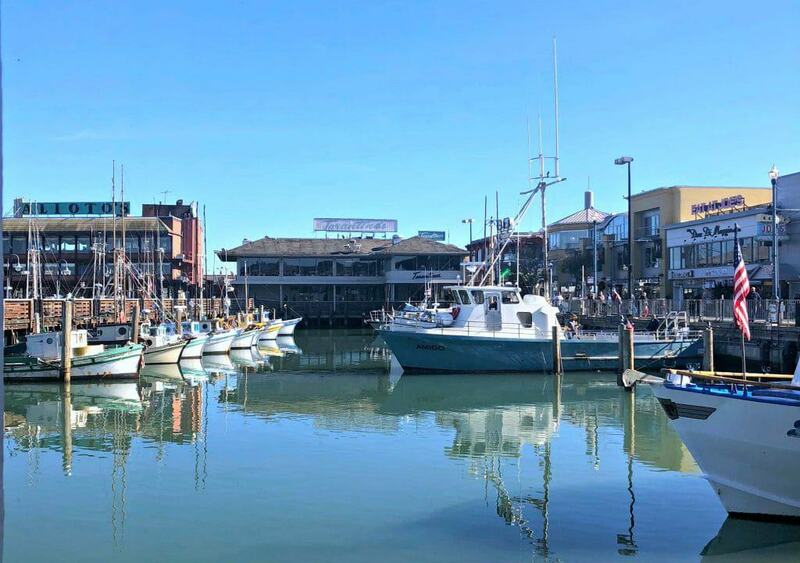 I have flown into San Francisco more times than I can count, but not once have I even thought of purchasing tickets to actually tour the island, until we walked up the pier and inquired only to be laughed at in our faces and told that we were out of luck. It was actually pretty funny how the man told us and if I could remember his exact verbiage I would share it, but it definitely made us laugh a little. Kelly had to see “sea lion island” and so we made a quick stop there and watched those big guys enjoying the sunshine and the weather. Then we made our way down to the end of Pier 39 and did a little photoshoot. I definitely was being a bit silly and laughing a ton. It really does just feel great to be out of my element, taking in every thing and enjoying time not just being a mom. Once we finished at the pier we decided we wanted to take a cable car and experience that. This is where we had to pay. We spent $22.00 each on a 24 hour transportation pass. It allowed us to ride the cable cars, buses and one portion of the subway system. Can I tell you how much I love the cable cars and how fun and slightly terrifying this was. 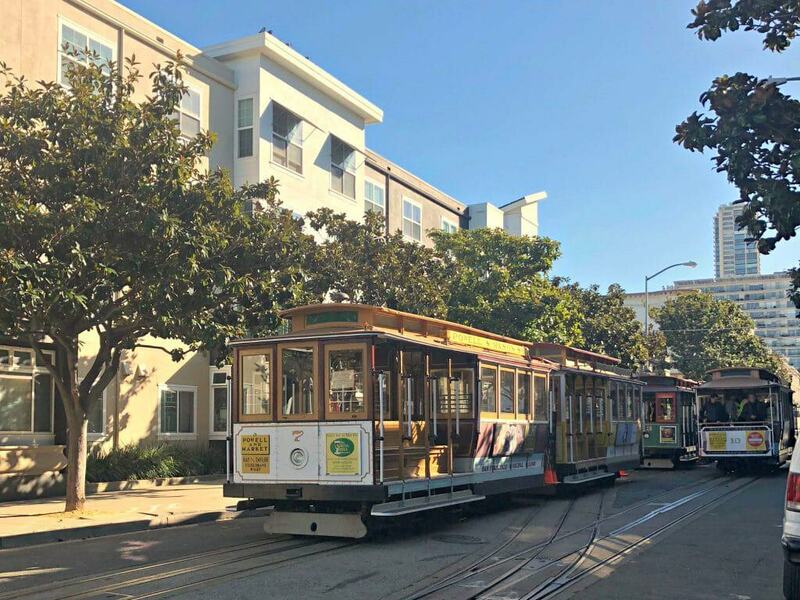 Those cable cars have been on my to-do list for a long time and I was so excited to see them, to ride one and to experience those San Francisco hills on them. It was definitely an experience as we nearly crashed into a lady who decided to run through a light and stop in front of our car heading down a LARGE hill. However, I loved every moment of it and would totally do it again. Once we reached the bottom of the massive hills, we jumped on the subway then ran to catch a bus because the final stop on our whirlwind tour was the Painted Ladies. 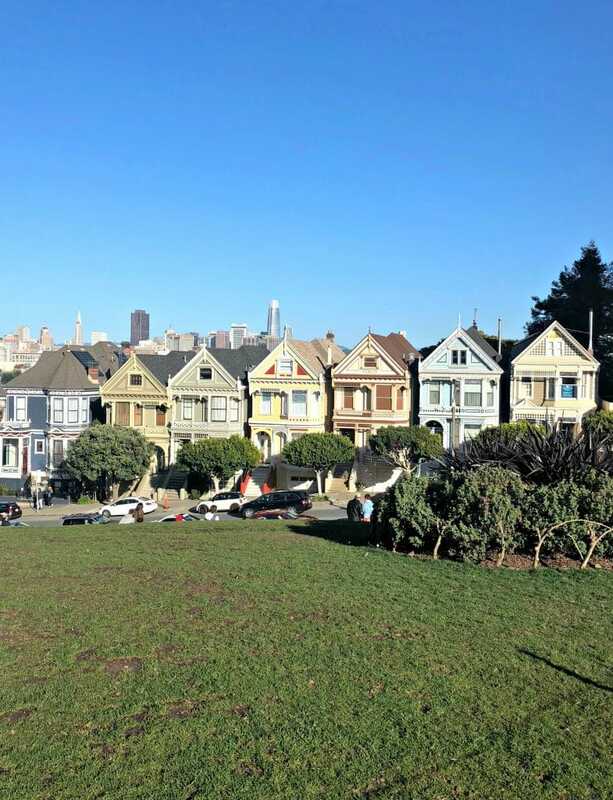 Yes, those houses from Full House that are so iconic. You guys, people actually sit on the hill and picnic and play with their dogs and it is totally like the opening credits of the show. It was AWESOME. I am a big Full House fan and now I am watching Fuller House (season 3) and still loving it just as much so this was fantastic. Definite bucket list item checked off! Buy the Transportation City Pass: San Francisco is large and things are spread out. Prepare to purchase the transportation package so that you can get around a bit easier. Also for the most part, the locals are super nice and willing to help you…like when they had to teach me to get off a bus correctly. People, I grew up in the country, the only bus I rode was yellow and my stop was always in the same place. 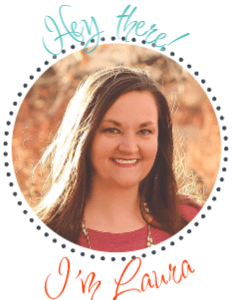 It was a lifesaver to have the pass and the ability to get around the city fairly easily. 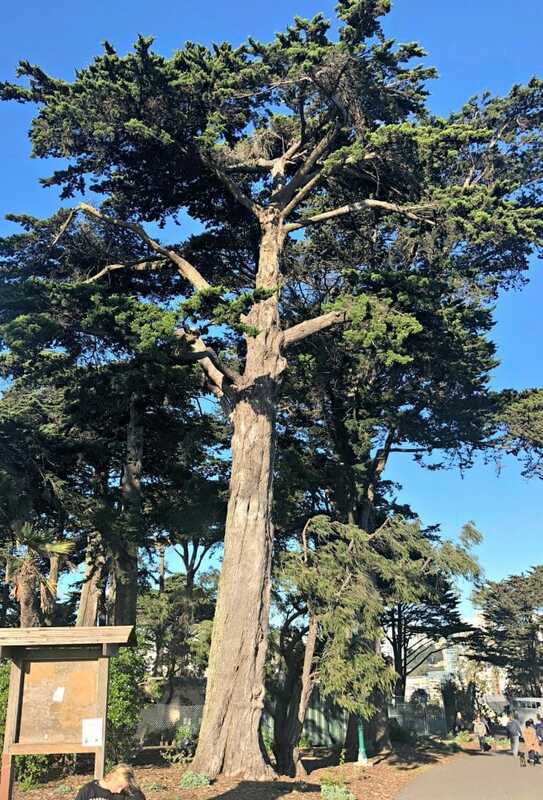 Dress in layers: San Francisco can be sunny, foggy, windy and freezing in about 35 minutes. I found myself taking my coat off, putting it back on and very thankful that I had brought some layers with me. Make a List and Map It out: We had some must sees on our list. Sure we didn’t get to do everything (see Alcatraz), but we were able to experience nearly our whole list and were all really happy about it. We used Google Maps to help us figure out where to go and how to get there, but it would have been a lot better had we pre-mapped our plan because I definitely was just asking people all over the place to redirect us around. They were great about it, but it took time. Have any more tips? Post them in the comments please!